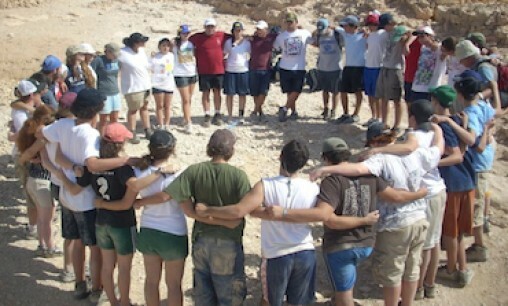 Studies have shown that Jewish camping is a powerful way to build strong Jewish identity and commitment in young people. Thanks to the generosity of the Annual Campaign, the Jewish Federation of the Lehigh Valley offers needs-based scholarships for Jewish resident summer camps such as Ramah, Pinemere, Harlam, Galil, Young Judea and Moshava. Applications are typically due by late March each year. Each year, scholarships are awarded to individuals for Jewish teen education experiences that will enrich the recipients, enhance the community, and increase the likelihood of future engagement with Jewish life. These incentive grants are provided by the Jewish Federation of the Lehigh Valley’s Annual Campaign. Teens must be in grades 9 through 12 and reside in the Lehigh Valley area. The program may be located outside of the Lehigh Valley. Membership at an area synagogue, Jewish youth group and/or the JCC is preferred, but not required. The education experience must be organized by a recognized Jewish organization. Trips to Israel funded by the VISIT Israel Savings Partnership are not eligible.